Are you feeling the nip in the air in the evenings? We sure are. The days are getting shorter and the leaves are starting to change colour. I have just a few things to show you then off to settle in for the night. 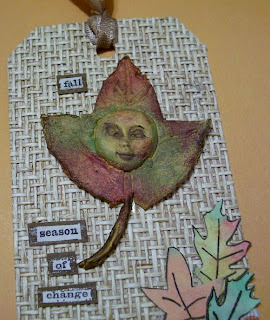 I am doing a fall tag swap over at Tee's blog, The Altered Paper and I wanted to do something very different. If you follow me regularly you will know that I like to dabble in all kinds of mediums and for this tag I chose to do some air dry clay work on a tag that looks like a tight basket weave. 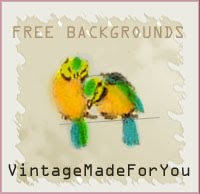 Someone once sent me this piece I think it was sample wall paper or something but it fit the bill I was looking for. I wanted a natural theme for my fall tag so this is my base. I got a leaf from outside and traced cut around it on my rolled out air dry clay. I cut a hole in the center and after making a face from a mold I have I popped it in the hole and the clay has a sort of self healing property to it as it is very sticky at first. 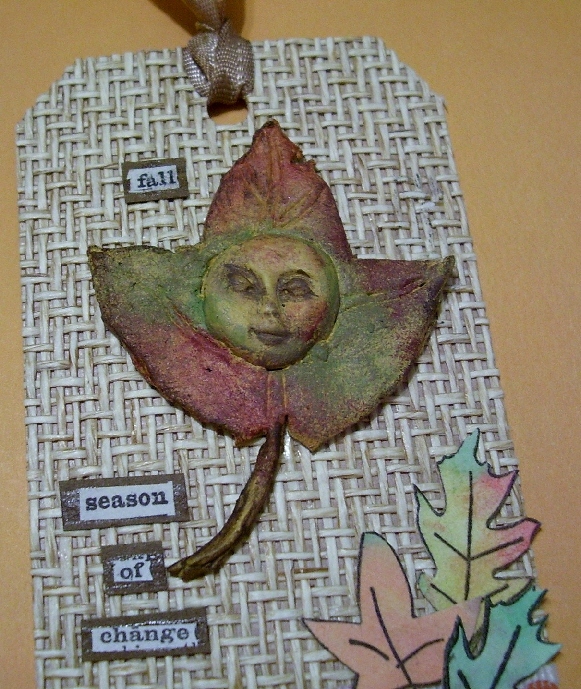 I let it completely dry then I gessoed over the clay, then I painted the leaf and face in fall colours. I stamped some leaf stamps and coloured them and popped them on the bottom corner. You can't see here but I had a bit of white ribbon with brown and orange dots on the bottom as well. This turned out great I hope my partner Ginger likes it. 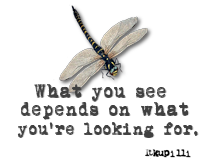 And as you know I am busy getting ready for my fall craft shows and since I took this design to the library I thought I would do up another one. 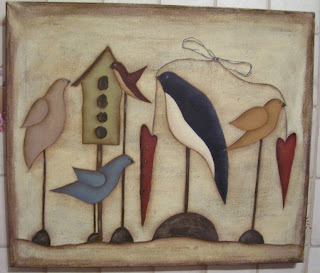 Birds are always popular in homes. I don't really make very many of the same design but this was so quick and easy to do. I like painting on canvas a lot. No buying and cutting wood, sanding and all that mess and prep work. Paint and go with canvas. This is a Terrye French design. 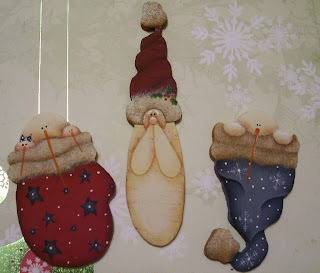 And lastly while everyone around blog land is busy with Hallow e'en I am busy with ornaments for the show. I don't do shows before Hallowe'en and I am really not into it too much although I like looking at other people creations and it just not one of my favourite holidays. These ornaments are Cyndi Combs designs. She makes really cute and quick ornaments. Well I am also trying to squeeze in a bit of time with mixed media canvases. I just had a brainfart about something to try with my whimsy girls and it looks like it will work. Stay tuned and if I get some time I will finish it up and post it later in the week. Well off to bed soon. I love the tag Les,really unique. I so admire the variety of your creativity. Love those birds and the ornaments too. Bet you'll sell out at those shows !